- Hippolyta was the queen of the Amazons. The Amazons were a group of female warriors that sometimes had families, but all the boys hat were born were killed. 1. "Hippolyta." 26 May 2008 <http://www.pantheon.org/articles/h/hippolyta.html>. 2. "Amazons." 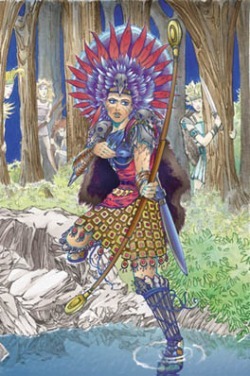 26 May 2008 <http://www.paleothea.com/amazons.html>.